We are the Joplin Missouri ( Jo-Mow ) lawnmower racing club . We are a group of people who take ordinary riding lawnmowers and turn them into real racing machines that can hit speeds up to 60 mph . 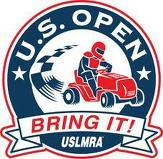 Proud members of the ( USLMRA ) United States lawnmower Racing Association, We race and build following the USLMRA rules . There is class to fit everyone and every budget making lawnmower racing a very easy and affordable motor sport to participate in . Its also very entertaining to watch , When was the last time you watched a guy on a lawnmower slide sideways through a corner on two wheels or pull a wheelie going down the straightaway . 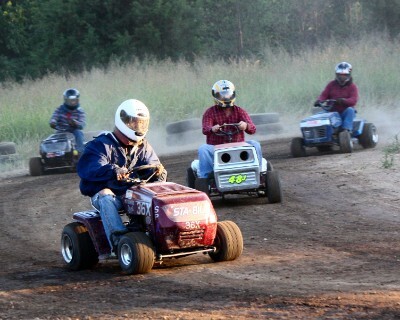 If you are a fan of auto racing you are gonna love lawnmower racing . So come out and meet the racers , take your picture in the drivers seat and be prepared to have some serious fun .